Rumors Of A Facebook Phone Live On! A Facebook phone doesn’t make sense. Mark Zuckerberg said it himself on our Disrupt stage just a few months ago. But that doesn’t mean the rumors won’t continue to fly. 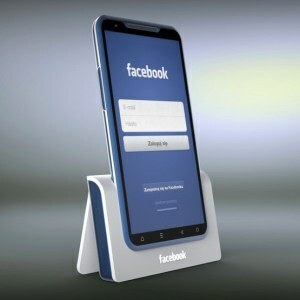 The latest comes by way of Pocket-Lint, which claims to have source confirmation that the HTC Opera UL phone popping up in benchmarking results is, in fact, a Facebook phone. “It is the Facebook phone, made for Facebook,” the anonymous source said. I’m approaching this with two salt shakers and a stick, but it’s our duty to keep you fine readers in the loop when rumors like these pop up. There’s no doubt that HTC is working on a phone codenamed Opera UL, but that it’s destined for Facebook as an official launch partner and distributor is a bit of a stretch. Remember, HTC has tried its hand at the Facebook phone before, and failed miserably. This could possibly be a better, second try at a social-focused handset at a time when Apple has direct Facebook and Twitter integration within iOS. As far as specs go, the benchmarks tell us that the HTC Opera UL will have a 1280×720 display, run Android 4.1.1 Jelly Bean, and be powered by a 1.4GHz processor. This entry was posted in Current Afairs, everyday life, Techmology, Uncategorized and tagged 4ghz processor, android, facebook android phone, facebook phone, facebook phone android operating system, facebook phone really coming?, htc, htc facebook phone, HTC opera UL phone, Mark Zuckerberg about facebook phone, mobile, pocket lint, rumours of facebook phone, salt shakers, technology, when is facebook phone coming.